We supply supermarkets, pre-packers and wholesale fruit and vegetable markets across the UK. Our clients range from large national brands to smaller independent retailers. Our distribution centre is located the North West of the UK; allowing us to distribute efficiently and effectively across the country. We aim to supply our produce within 24 hours, ensuring you and your customers benefit from the freshest fruit and vegetables possible. We offer the option of direct shipment too; if you’re ordering a large quantity we can have produce shipped directly to you from abroad, again ensuring the freshest possible fruit and vegetables. We’ve been trading for nearly 40 years, this is because our clients trust us; they expect quality and speed, and we deliver on that promise. In nearly 40 years of trading, we’ve established a network of suppliers that produce the very best fruit and vegetables from the most appropriate regions, this sets us apart from other brokers. We only work with carefully selected growers that can consistently produce high-quality produce. All of our fruit and vegetables go through a strict quality control procedure when it arrives at our distribution centre to ensure it meets our stringent criteria. Interested in being a supplier? Call us on 01772 733 331 and speak to a member of our friendly team. We source our fruit and vegetables from the best possible locations across the globe. However, a large number of our growers are based in Spain, we’ve found in our 40 years trading that Spain regularly produces superior fruit and vegetables. They come with exceptional taste and freshness, as well as real value that we can pass onto our clients. We have a number of Spanish employees at NFB Import which allows us to negotiate and communicate our expectations of produce very clearly, something that not all brokers are able to do. These long-standing relationships have created a level of confidence and trust that extends beyond us and our suppliers and into our customer base. A significant pillar contributing to our success are the well established and sustained relationships with our suppliers that span over the past 40 years. We have always felt that maintaining these relationships has always been a key factor in our success here at NFB Import. 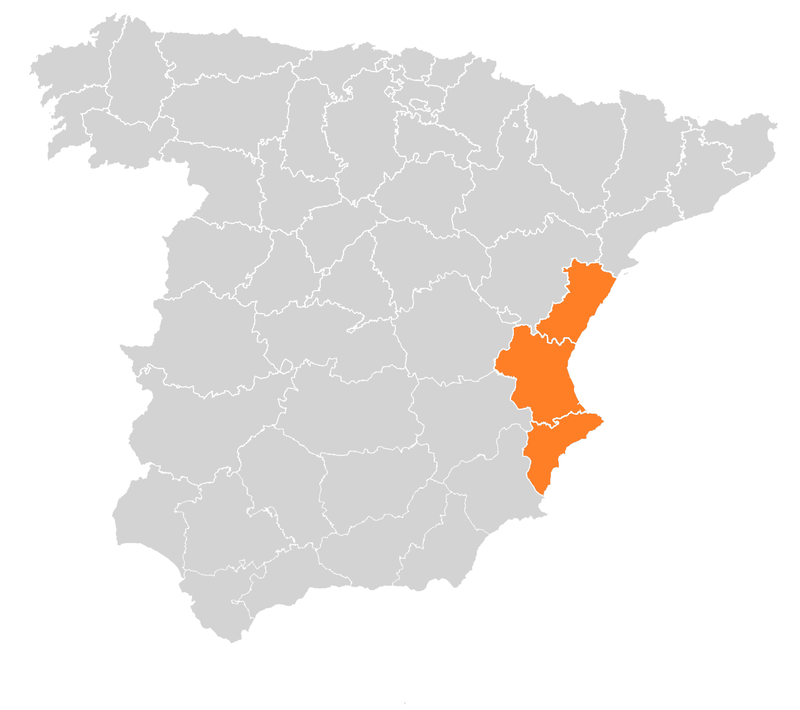 But those relationships extend beyond the level of our suppliers and into specific regions of Mediterranean Spain, specifically the regions of Valencia, La Mancha, Andalucía and Murcia. Due to the perfect climate and characteristic landscapes, these regions continue to provide us with a quality and variety of fresh produce unparalleled by many. We have always maintained long standing relationships with suppliers in these regions because of the range of factors that make them famous for producing a diverse and excellent array of fresh fruit and vegetables. The consistent climate and exceptional soils of the region of Valencia make the variety and quality of produce virtually inexhaustible. In total, the region itself produces an output of 4.2 million tonnes of fresh fruit and vegetables meaning a value in excess of 1.3 billion Euros. This accounts for over three quarters of the region’s agricultural income. The main genus of crop in the area is citrus, which grows predominately along the fertile lands along the central and southern coastlines of the region. From the famous Valencia orange to the sweet clementine, the coastal areas of Valencia have been at the forefront of citrus growing for generations. A relatively new addition to the family is the persimmon known locally as the Kaki. The Kaki has had enormous success in the domestic market and recent campaigns have brought it to the attention of neighbouring markets where demand has been increasing steadily since its introduction. It’s not just the coastal areas that enjoy high production and diversity. Inland, near the subregion of Alicante, you will find a microclimate that enables the growth of a selection of niche products such as celery, lemons, pomegranates, cherries and nisperos. The outstanding quality and diversity of the fruit and vegetables in the area are exemplified by the eight protected geographical areas of fresh fruit and designations of origin. 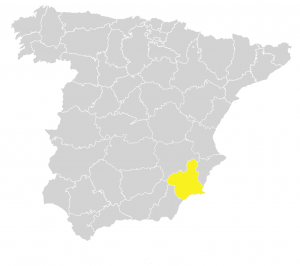 Situated in the centre of Spain, the region known as Castilla-La Mancha is almost as famous for its agriculture as it is for its former kingdom, Castile. The Mediterranean tending toward mild continental climate in the region of is perfect for ground vegetables exemplified by its four designated protected areas for garlic, onions aubergines and Melons. The fruit and vegetable sector of Castilla-La-Mancha, although important at the national level, has been modestly modernised using irrigation only to a limited extent. This means that the output of produce relies more heavily on a consistent climate and more traditional agricultural techniques. That’s not to say that the area performs poorly when compared to its counterparts. The region dedicates over 13,500 hectares to melon production alone which accounts for 37% of national output. Melon production is key to the region and is grown, processed and packaged in the natural district as Mancha in the province of Cuidad Real. Early 2003 saw the formation of the La Mancha Melon Promotion Society, an association of local cooperatives which sought to protect the area where melons are grown and from an inspection body to regulate and maintain the exceptional levels of quality of the regions’ most famous variety of melon: Piel De Sapo. Andalucía is Spain’s most populous region and most varied in terms of climate and affluent landscapes. This is reflected by the huge wealth of fruit and vegetables produced by the diverse land. Fresh produce production accounts for the vast majority of Andalusian agriculture with an output nearing 10 million tonnes of fruit and vegetables per year. Vegetable production alone accounts for three-quarters of this output and is exemplified by the sheer variety and versatility of products available with almost all varieties of Spanish fresh produce can be found growing here. Within this huge range, certain flagship products with special ties to their place of origin have been given the European Foods of Differentiated Quality seal of approval. An area significant importance is the province of Almería. Renowned and famed for its tomatoes, capsicums, aubergines, courgettes and even melons, this rich land’s hot climate lends itself to a high production of a wide range of quality commodities. The success of the Andalusian fruit and vegetable sector originates not only from its variety but from the quality of its produce. The sector itself has recently been subjected to a wide range of certification initiatives based on technologies such as integrated production, organic farming and monitored growing ensuring that the quality of the produce is maintained at its outstanding level. The region of Murcia is well-known for the growth of fresh fruit and vegetables with the semi-arid Mediterranean climate providing a paradise for crop cultivation. The regions’ agricultural practices are centred around the promotion of product quality by using strict certification to guarantee the origin of the crop, correct growing techniques and maximum freshness. The major products in the region include lettuce, broccoli, cabbage, peppers, artichoke, tomato, celery, grapes and melons. These crops have been widely exported for decades and have provided a powerful marketing tool that depicts the variety and quality of the produce not only in the region of Murcia but for the whole country. This has given Murcia an unrivalled reputation for variety, quality and freshness that has been well established in European agricultural circles for decades. The region of Murcia has had longstanding traditions with organic crop production and has pioneered the production of high-quality organic fruit and vegetables for the export market. Producers in the area are highly specialised in the cultivation and distribution of their carefully selected products and using integrated production to strictly regulate the use of biological and chemical methods of production. High levels of production and exports mean they are able to invest heavily in the local agricultural sector and obtain and apply advanced techniques thus gaining a competitive edge over their foreign counterparts. To find out more, call us on 01772 733 331.